When Sgt. 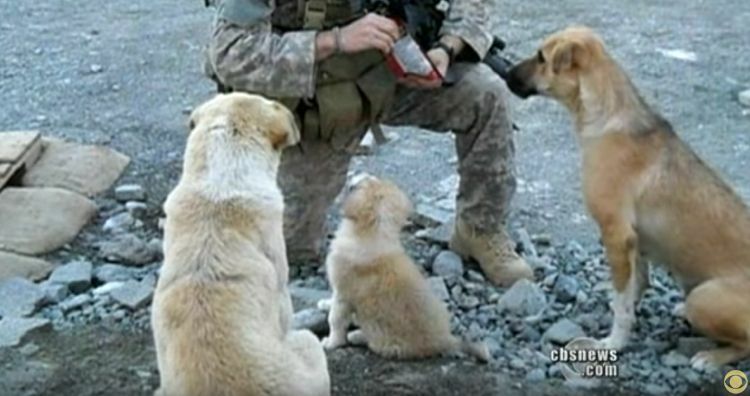 Chris Duke was stationed in Afghanistan, he met three stray dogs that would change his fate forever. A suicide bomber attempted to enter the barracks where Sgt. Duke and the other soldiers were living. 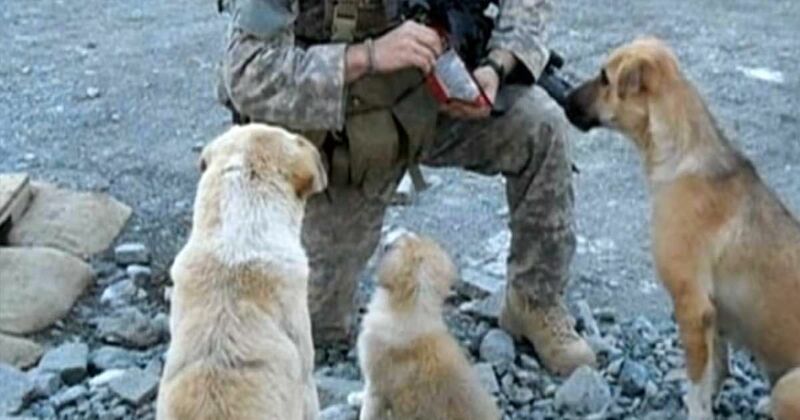 The three dogs, seeming to know that all was not well, alerted the troops, who were then able to prevent the terrorist from coming in. Unfortunately, the bomb exploded and did a lot of damage. None of the soldiers were killed that day, but the toll to the dogs was steep. Rufus and Target were nursed back to health, but brave Sasha was so badly injured she had to be put down. Saddened by the death of the dog, Sgt. Duke was determined to do something good for the other two. So Duke wrote a letter to a veterans’ assistance group called Hope for the Warriors. He wanted to find a way to bring the dogs to the United States so that they could lead the lives they so richly deserved. Robin Kelleher, president of Hope for the Warriors, was pleased to help and set the wheels in motion. Other organizations heard about it and wanted to get on board too. They set up a Facebook page to raise funds, quickly raising $21,000 -- enough to bring these four-legged heroes home. Finally, Rufus and Target made the trip from Afghanistan to the United States, where they were greeted with a hero’s welcome. In Atlanta, Target and Rufus were reunited with Sgt. Duke and even met his wife. It was a happy day for all of them. Target will go to live with another soldier in Arizona, but Rufus will never again be separated from the man whose life he saved. Now, Sgt. 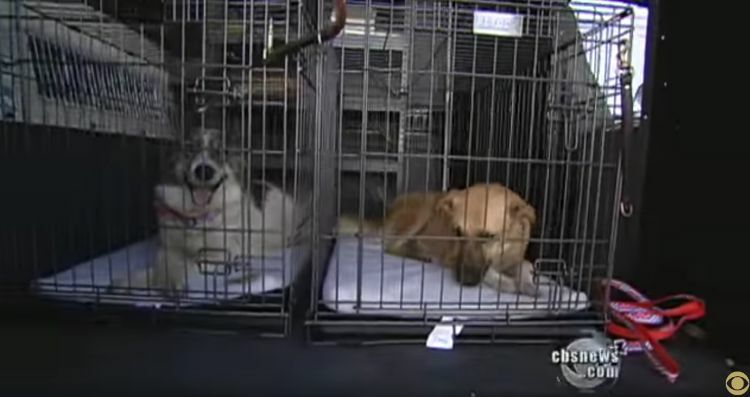 Duke has repaid these wonderful dogs, bringing them home where they can live a life they never dreamed of. 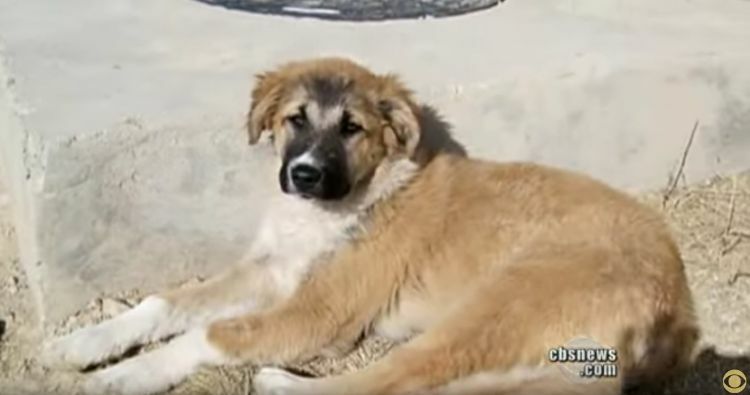 As you watch this video, remember that some war heroes have four legs!